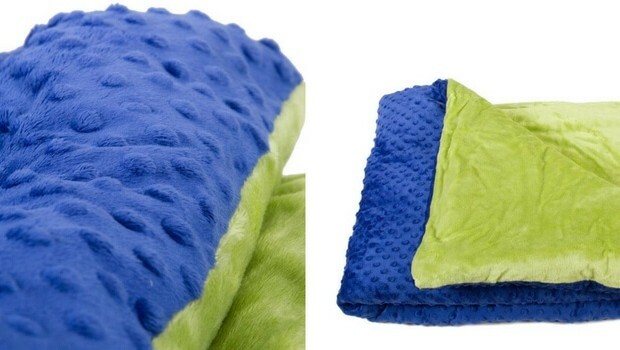 This special weighted blankets offer great comfort for those with special needs. Disorders like autism, ADHD or Sensory Processing Disorder come with sleeping issues, apart from other issues. For example, research shows that about 80% of those suffering from autism have sleeping issues. Harkla Blankets can be the answer to these issues. Why and what makes them so special? They are weighted to specifically maximize comfort and relaxation and keep the ones wrapped up in them, in a very serene and calm state. 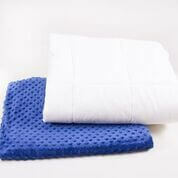 The Blankets have a minky fabric that increase the softness and also dots on one side for increased texture. They’re not complicated to take care of and wash. Both the cover and inside weight can be washed in a washing machine and also dried. Now, let’s talk about the pockets, because these blankets have pockets in which the weight is perfectly distributed so that it doesn’t shift. It is all scientifically made and designed. It might sound fancy, but it’s actually hugs and massages and kisses. Well, not really kisses. Basically, the Deep Touch Pressure can mimic the human interaction through hugs and massages and thus increase the release of serotonin which reduces the activity in the nervous system. You get greater relaxation and better focus in just one package. If you liked the idea, you can also help them develop their technology. They’re on Kickstarter with a clear message: “Since we are an established company and have already been making weighted blankets for a year, once the Kickstarter is funded, production will start for the entire order”. So, what do you say? Would you lend a hand to help this idea and technology make our lives a little more relaxed and comfortable?